What if playing an escape room as a team building activity could be more than just a fun time? What if coworkers could learn about themselves and their colleagues so that they can work together more effectively – while having fun? That’s what Boost Your Game is all about. Since we opened our first location in 2014, we have watched tens of thousands of people work together (or not!) as they attempted to get out of one of our rooms. It didn’t take very long before behavior patterns started to emerge. At first, we noticed the obvious: who stepped up to be the leader and who was content in doing what they were told to do. However, other roles, relationships and patterns also became evident. While many companies coming to Exit Strategy for team building are satisfied playing “Just for Fun“, we were getting more and more requests from organizations who were looking for a way to improve their team’s performance. So, we put our heads together and designed a unique and transformative team building option: Boost Your Game. In Boost, teams work with an expert trainer/educator for an hour on top of playing Mansion at the North location. The formal debrief that takes place goes well beyond who did what and what worked well. The dynamics and relationships that are set in motion during the game are also examined. By understanding how such dynamics help a group be successful in a fun endeavor like an escape room, work teams are better able to support each other in the workplace during challenging moments. From the very beginning of the 60-minute countdown, escape room players take on different roles. Without any planning, players will naturally gravitate to a role that suits their personality or others’ expectations. Whether they start looking for clues, try to roll the first lock they see or simply stand back to take it all in, players find their purpose. It might not always be useful or productive, but everyone will eventually find their role or play the one that is expected of them. Will someone take the lead or will everyone refrain from sticking their necks out? If there is a leader, is he or she the leader of the team in the workplace as well? All these observations are made as participants are playing but aren’t there fascinating correlations to be made with the workplace? An escape room is also a great opportunity to see how well the group flows (or not) between working together and setting off to work individually on different tasks. While individuality or teamwork can both be key assets in the workplace, how can we best utilize them to be productive? Want to know more? 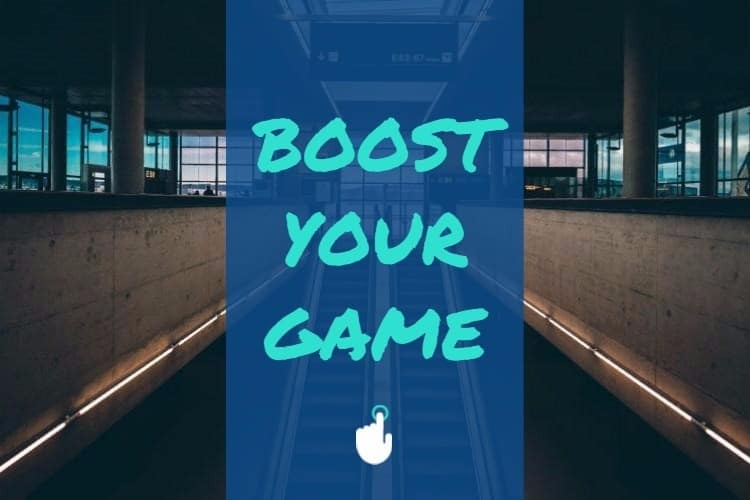 We would love to help you plan your Boost Your Game session. 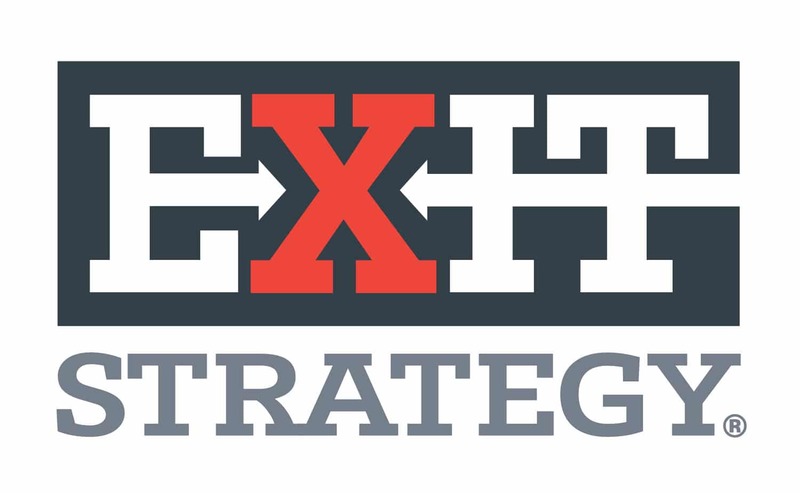 Call us at 980-859-4482 or email info@exitstrategynorth.com to learn how you can help your team achieve more while having fun. Everything under the sun has its own day except for Escape Rooms! 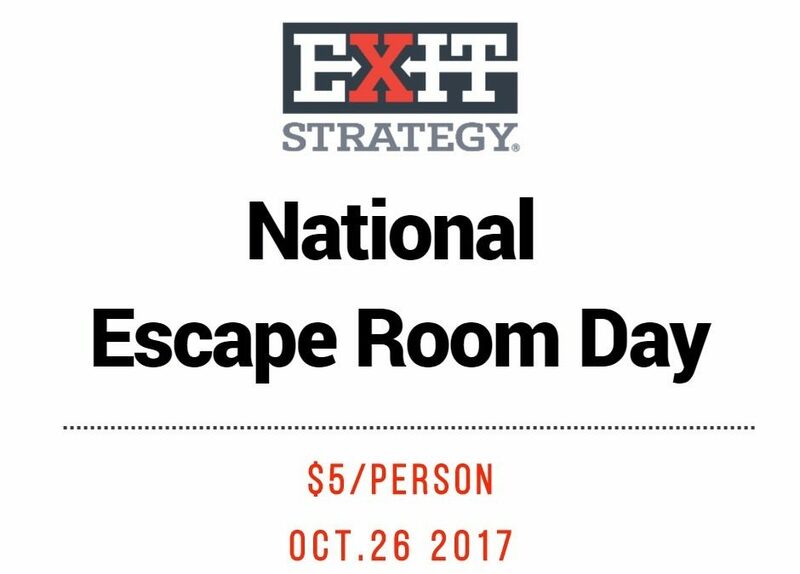 So, we decided that the 4th Thursday of October would now be National Escape Room Day, aka N.E.R.D. To celebrate, come play with us on that day at either location and pay only $5/person. Yup: $5/person! Fine print: up to 2 rooms played that day/person; regular cancellation/no-show policy still applies; cannot be combined with any other promotion. Final Sacrifice: The End Is Near! 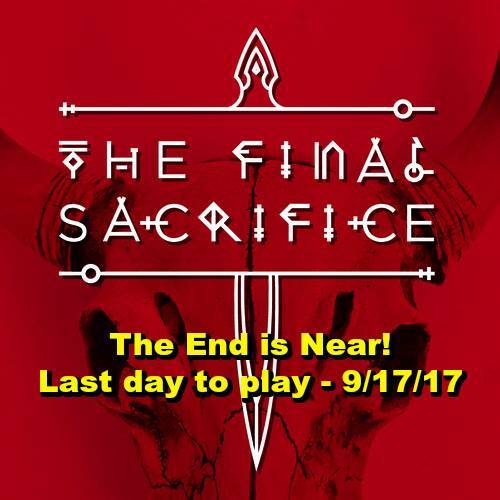 The time has come – The Final Sacrifice will be retiring soon! The final… Final Sacrifice will be on September 17, 2017. We’ll have special Do-Over Days where you can play the room again for $10 off the regular price. You must call us at 704-837-0515 or email our South location at info@exitstrategyus.com to schedule a Do-Over. 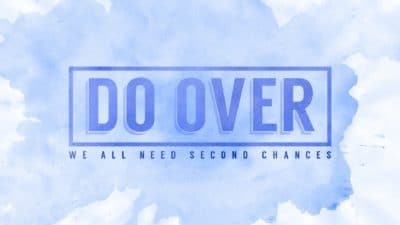 Final Sacrifice Do-Over Days – 9/07/17 and 9/17/17. So you have a little under 2 months to play our hardest room for the last time!